You'll find it on a map--but you'll never get anywhere near this top secret military base. What exactly is going on there? Is Area 51 a top secret military base that lies in the middle of the barren Nevada desert? Or could it actually be a facility for examining aliens and their spaceships? People can't drive anywhere close to it; the US government rarely acknowledges its existence; and until recently, the airspace overhead was restricted! Conspiracy theories abound about what goes on at Area 51, especially since 1947 when strange objects were found in the middle of a field in Roswell, New Mexico. 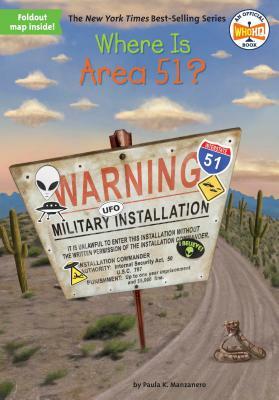 Author Paula K. Manzanero explains why Area 51 was established and reveals the mystery behind those unidentified flying objects in the sky. Check out this book and decide what you believe. Paula K. Manzanero is an Executive Editor at Penguin Workshop and a children's book author.